When it comes to family entertainment sometimes we have to go back to the good, old-fashioned classic. 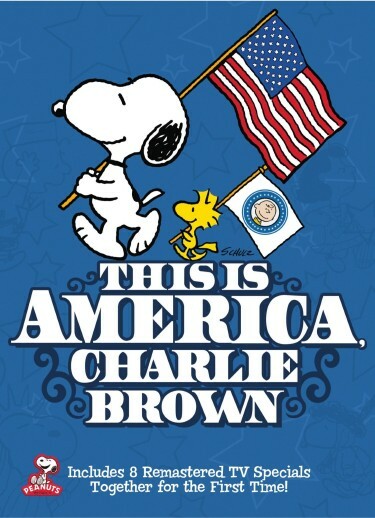 This is America, Charlie Brown, is a time-honored gem that journeys us through special childhood memories, while helping us create new ones with our kids. The original air date ran from 1988 to 1989, however, Warner Home Video recently announced a reissue of the set. So, once again we can travel with Snoopy and the Peanuts gang as they take us through key American historical moments. With the educational elements like the Mayflower voyage; the birth of the Constitution, and the exploration into outer space, this DVD series is family fun the entire household will enjoy and learn from together. The best part, it’s just in time for Independence Day!